I know it is difficult to tell on the site, but I have dilligently been updating various things on the site to make it “just right”. Utilizing the Featured Image functionality of WordPress. Now that SSP has released a nice Director plugin for WordPress, I can finally start utilizing the Featured Image functionality of both WordPress and the AutoFocus Pro theme. This way I’m not hiding pictures with CSS on the page, and things should load faster as all the images are hosted in the WP directory (instead of pulling from Director on page load). I’m about 75% done with this, as I’m having to touch pretty much every post. Updating all the categories. As I touch every post for the above, I’m also fixing the category mess this quickly degraded to. 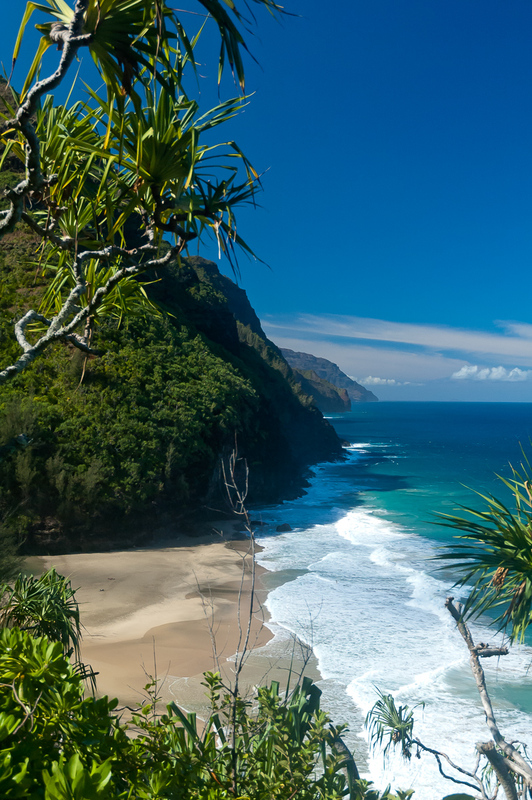 As for the picture, with Yow-Yow and I getting married (there should be pictures up of her soon too) in Hawaii, I thought I’d wet some appetites with a picture of a hidden beach along Kalalau Trail. We’ll be taking a boat ride along the coast for our rehearsal dinner, and I can only hope it will be as gorgeous as this picture is!